CAIRO — Egyptian fans traveling to watch their soccer team play at the World Cup should lower their expectations about meeting the kind of beautiful Russian women men rave about at home, according to an article published in a Cairo daily that reads like an informal travel advisory. "Youm7," or Seventh Day, says Egypt's qualification for the World Cup has made many male fans dream about traveling to Russia to meet local women, "but because we in Youm7 are always looking out for you, we decided to open your eyes about the reality of Russian women before you start packing." Hundreds of thousands of Russians annually visited Egypt until October 2015 when Islamic militants blew up a bomb they planted aboard a Russian airliner, killing all 224 people on board. The bomb went off shortly after the aircraft took off from a popular Red Sea resort city in Egypt's Sinai Peninsula, prompting Moscow to suspend air links with Egypt. If the suspension remains in place until next year's World Cup, Egyptian fans will have to reach Russia via a third destination, making their journey significantly longer and more expensive. Playing on the theme of local soccer fans eager to befriend Russian women, a video widely shared on social media purportedly shows three Russian women joyously swaying to popular Egyptian music known as "mahraganat" while in a car. "How Russian women reacted when they heard of Egypt's qualification," read the comment accompanying the video. In an article published in the newspaper's online edition Wednesday, reporter Menna Allah Yehia advised traveling fans to pack their checkbooks. "Generally, Russian women love money and always look for it," she wrote. In another piece of advice, she wrote: "Don't try to escape your fat wife to look in Russia for the skinny woman of your dreams. It is difficult to find a Russian woman with an average weight. They are either very slim or very fat." The article appeared on the back page of the newspaper's print edition on Tuesday, with a photograph of a blonde Russian woman with the country's red, blue and white flag painted on both cheeks. "The reason why I wrote the article was to represent Egyptian women, many of whom expressed fear on social media their husbands will travel to Russia and hook up with Russian women," Yehia told The Associated Press. "All I am saying is that many (Russian women) have these traits or habits, but we don't mean all of them," Yehia said. 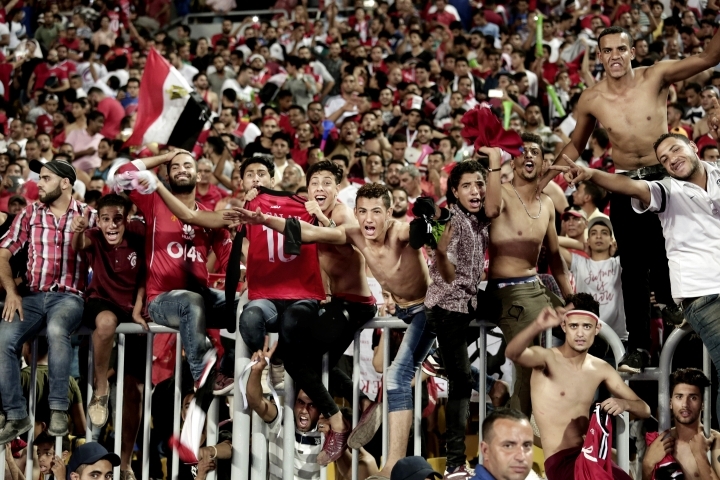 Their qualification left Egypt buzzing with excitement, with thousands of fans already making plans to travel to Russia to watch the team play. They won't know which of the eight groups Egypt will be placed in until the draw on Dec. 1 in Moscow, but local travel agents already are taking reservations and offering discounts. One news site introduced fans traveling to Russia to a dating application in case they wanted to meet women while they are there. If two users like how the other one looks, according to the instructions, they can meet in the chat room and get to know each other "under the category of friendship, love or whatever else they want."